National Tree Week (29 Nov – 7 Dec) begins on Saturday and with it the start of the tree planting season, it was launched in 1975 and is the UK’s largest annual tree celebration inspiring upward of a quarter of a million people to get their hands dirty and plant a million trees. Trees make an attractive focal point in any garden, they are havens for wildlife too, providing homes and food for caterpillars (leaves), insects (flowers, leaves), beetles and larvae (trunk, rotting wood) these in turn are food for animals and birds especially newly fledged youngsters or hungry chicks still in the nest, in Autumn and Winter their fruits/berries and seeds provide a welcome meal for birds and animals, trees really are a very important part of the wild food chain. If you are thinking of planting a tree you will need to consider where you are going to plant it, how much space is available and how big your tree will grow when it is mature. If you only have a small garden don’t worry many trees can be planted in containers, dwarf fruit trees are ideal they have stunning flowers in spring, colourful leaves in autumn and delicious fruits, if you are not sure which tree to buy, have a look at the label for more information, or ask the supplier, some fruit trees can grow very big. 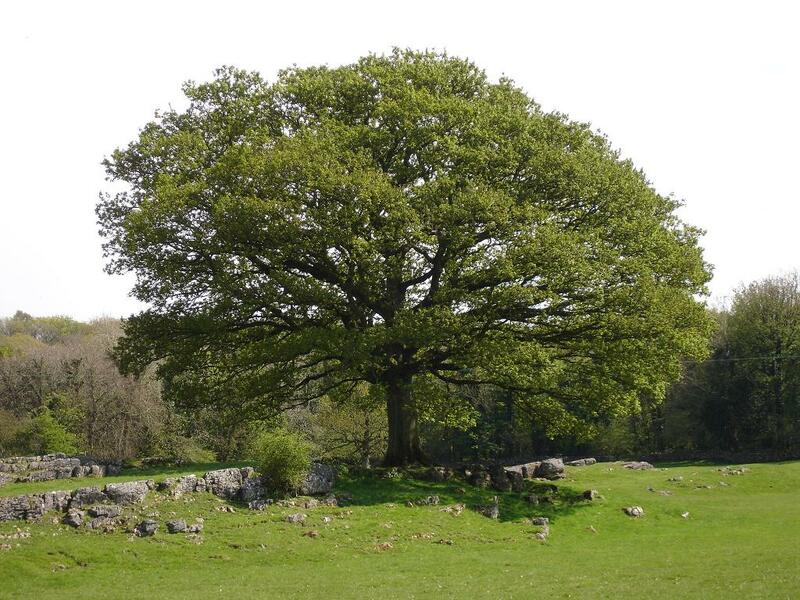 In Britain we have some very old trees, many are surrounded by myths and legends or were growing during famous and historical events click here if you want to learn more about these ancient trees and if there is one near to you. How do you tell how old a tree is? Chop the tree down and count the number of rings found in the trunk, each growth ring represents a year that the tree has been alive. Measure the circumference of the tree trunk, wrap your tape measure around the widest part of the trunk, measuring in inches each inch represents the age of the tree (52” = 52 years) this method will give you an estimate of the age of the tree as each variety of tree grows at a different rate, firs and redwoods may grow more in a year, while others like cedars may grow less. So why not plant a tree this week or look for an old tree, give it a hug, and see if you can work out its age (don’t forget your tape measure).